Five years after its 1999 launch in the USA, Coca-Cola had achieved a marketing miracle with its Dasani bottled water. It was time to ‘grow’ the brand in Europe. Early in 2004, the company spent £7 million introducing Dasani to the UK as ‘pure’ bottled water, meaning (as The Grocer trade magazine pointed out) water taken from municipal sources, purified according to Coca-Cola’s own process, and revived ‘for taste purposes’ with added mineral salts. It was tap water. Worse, the ‘highly sophisticated purification process’ proved to be identical to that used in household-sized domestic water purifiers. Half a liter from the tap cost 0.03p; half a liter of Dasani cost 95p. Underlying economic outrage gave an edge to cackling headlines like ‘Eau Dear!’, ‘Coke’s in Hot Water’ and ‘The Real Sting!’. But Dasani performed well in much of the world, and the company sniffily observed that the UK market for bottled water is ‘relatively immature’. If their intention was to ‘diss’ Britain for failing to subscribe fully to the ‘lifestyle choice’ of Coke’s superior branding, they provoked only more gales of laughter. Mirth turned to irritation when UK trading standards monitors looked closely at Dasani. Analysis challenged its use of the word ‘pure’. It also dropped the bombshell that among Dasani’s additives there were illegal levels of bromate, a dangerous carcinogen. There was no bromate at all in the source water. Britain’s Food Standards Agency (FSA) announced that ‘Any increased cancer risk is likely to be small [but] presents an unnecessary risk’. Five weeks after its glitzy launch, Coca-Cola withdrew all half a million bottles from circulation, and Dasani abandoned the UK. Coke had suckered itself with a PR disaster. Toll: Apart from its embarrassment and financial loss in the UK, Coca-Cola faced reviews of its water bottling procedures in many places, including the USA. 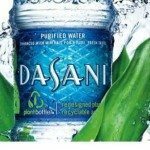 You should know: In the US, Dasani is promoted as ‘better than natural’ water. Among a series of ads using actors dressed in ‘what look like off-off Broadway animal costumes’ is one showing a ‘camel’ to suggest ‘natural’ means tasting like ‘sandy’ water; and a ‘bear’ to suggest ‘natural’ can mean ‘tastes fishy’. What’s not clear any more is whether it is the manufacturer or the consumer who is losing the plot.